Accordingly, the 64-gigabyte Wi-Fi model is now $499 at Apple's online store. Cellular-equipped models are $529 and $629, depending on the amount of storage. Significantly, Apple has dropped the 128-gigabyte option from its lineup, much as it often eliminates high-end storage ranges for older iPhones. 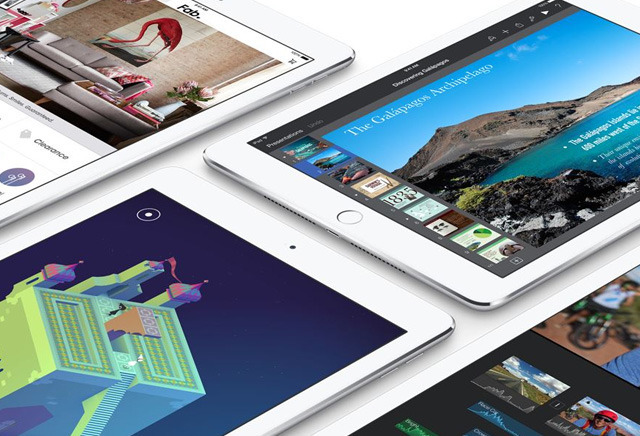 The iPad Air 2 originally launched in late 2014, and features an A8X processor. Its successor, the 9.7-inch iPad Pro, includes a number of important upgrades such as an A9X chip, a Smart Connector, and Apple Pencil support. It also includes four speaker ports, a color-matching "True Tone" display, and a 12-megapixel rear camera with the first-ever flash module on an iPad. The new Pro comes in 32-, 128-, and 256-gigabyte capacities, but with the tradeoff of a $599 starter pricetag, $100 more than any previous 9.7-inch iPad.